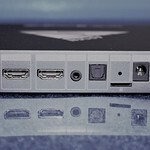 The Arden smarthub is the all-in-one smarthub that connects to any device with an HDMI input. 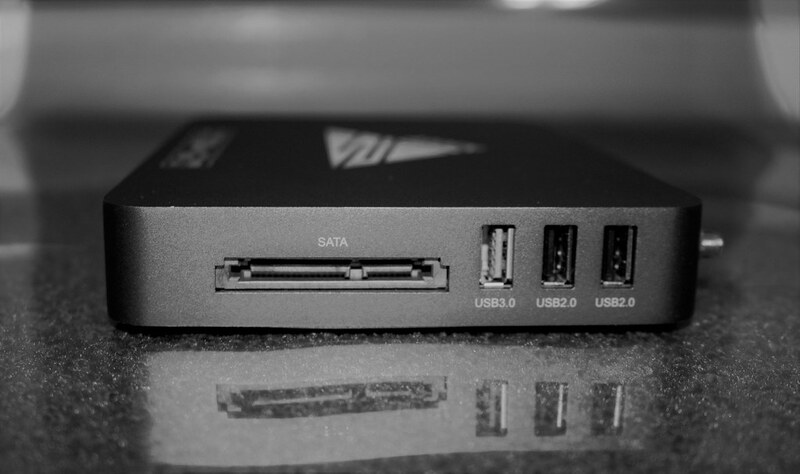 Once connected, it loads its own interface freely customizable by the user. Arden displays information and content from a variety of different sources like media services, applications, cable boxes, and more. 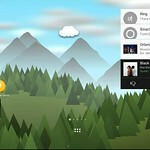 At startup, the device will boot into its dashboard where you will find an on-screen informational display showing date, time, weather and other customizable icons and widgets. You can encounter a notification window which displays any active and ongoing notifications associated with any smarthome devices being integrated within the system. Arden is compatible with multiple different smart home solutions, and once integrated all of the features packed inside will come to life. One of the most unique features of Arden is the ability to display live security camera streams on top of whatever you are watching. 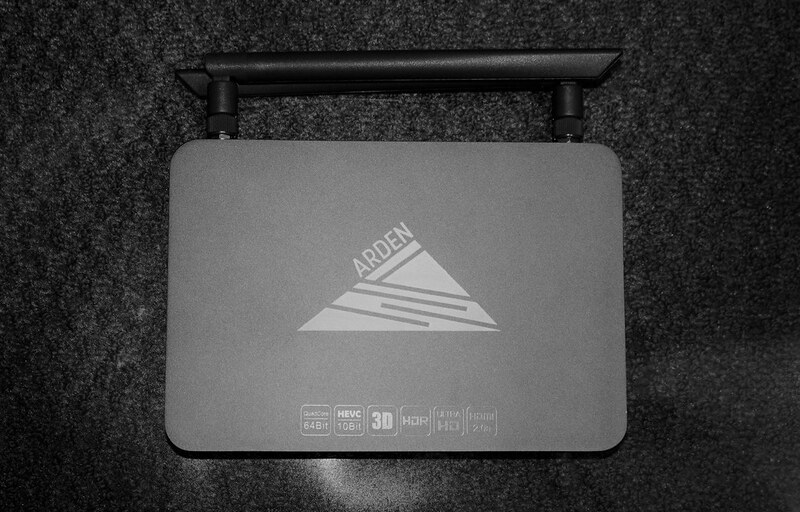 Due to the fact that it can integrate with external devices like cable boxes and Bluray players, Arden is able to overlay live camera footage regardless of the activity active on the monitor. 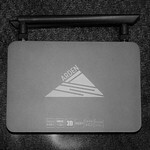 This makes Arden the most advance intruder video detection system on the market. Whenever someone or something moves in the line of sight of your security cameras, Arden will automatically display a window. 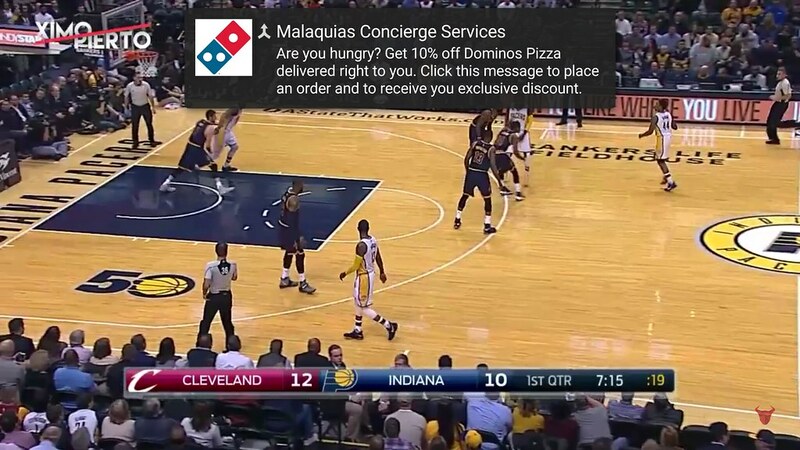 This instantly shows what caused the alert and gives you time to take action if needed. 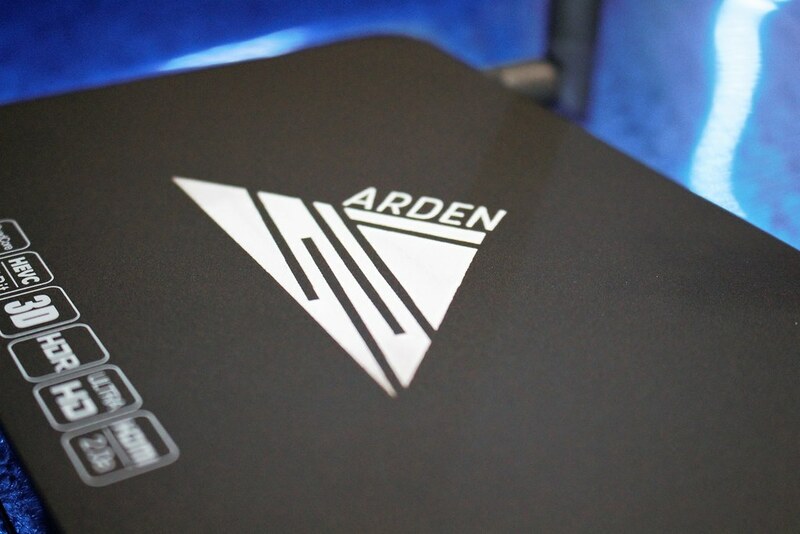 Ardens' overlay can also be triggered by voice using Amazon Echo, Google Home or other home automation products. Custom skills allow you to directly trigger each camera by a predefined name. 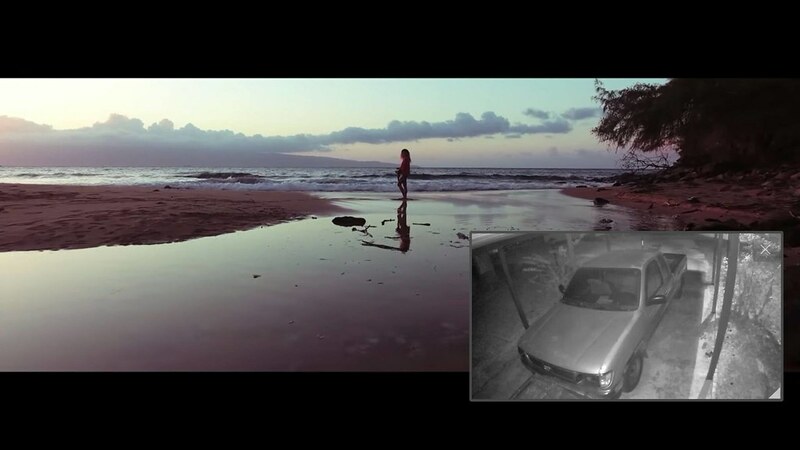 If you want to see what's going on in the driveway, simply say “Alexa, open the Driveway camera” which will then instantly display the overlay for you. 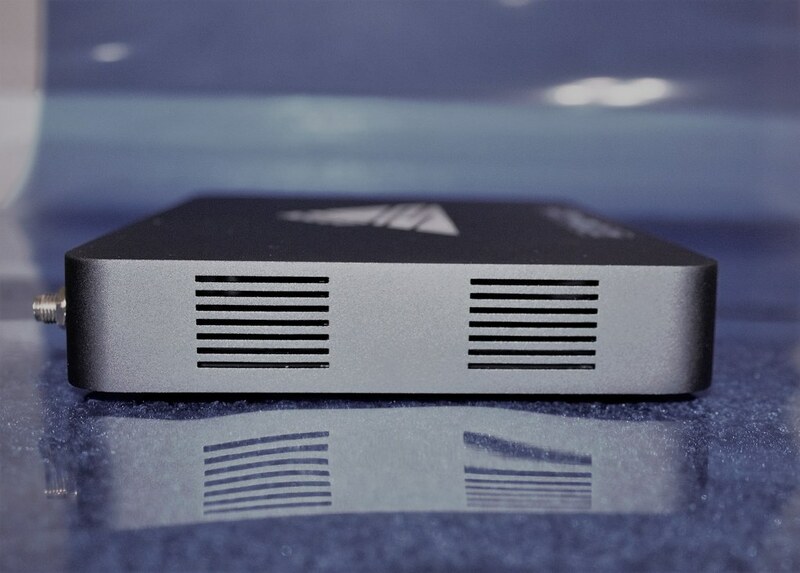 Arden also boasts the ability to act as a stand alone network video recorder allowing you to record motion and continuous footage from any connected IP camera. The Amazon Echo was one of the top selling devices in 2016. Now, the Amazon Echo pairs seamlessly for on screen compatiblity with Arden. You have the ability to make searches for music, movies, TV shows and YouTube content using an an Amazon Echo and Arden smarthub. Various custom skills allow you to specify what you want to open, what room you want to open it in (for multiple Arden Smart Hubs), and what you want to watch. After the information is specified, Alexa sends it instantly to Arden which in turn executes the command you desired. 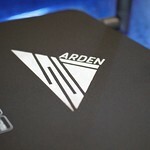 No other device on the market currently has that ability and thats what sets Arden apart. 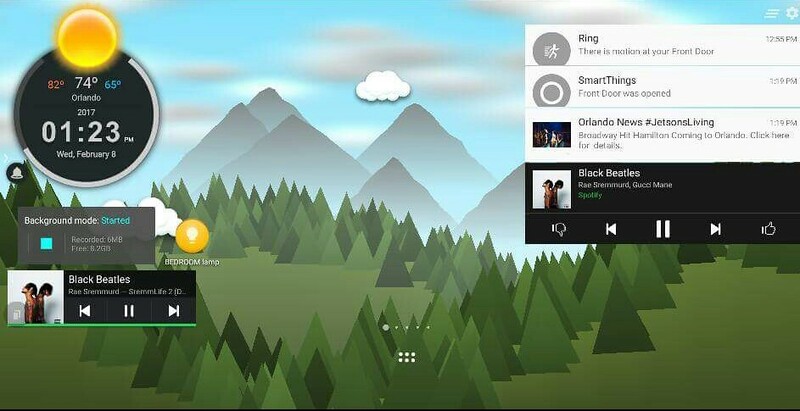 Commands like opening individual applications, going back to the home screen, and switching to any inputed devices connected to Arden are all possible with many more to come through further development. 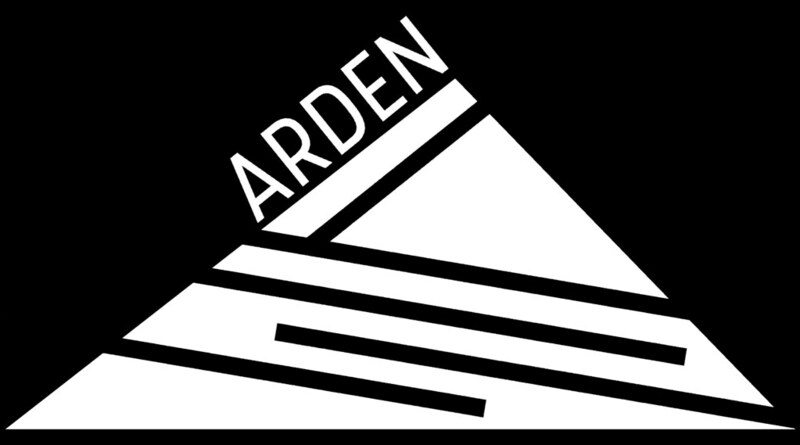 Arden has the ability to unobtrusively display content over anything you are watching. One of the ways to make use of this function is to display pertinent content of things you are interested in while they are happening. Like a smartphone, displaying emails, app notifications, and alarm alerts are all possible. If you have a SmartThings system and you have your door sensors sending you alerts every time the doors open, you could replicate and enhance this on Arden. 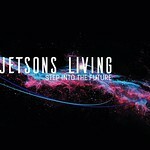 So while you are watching your favorite show and someone opens your door unexpectedly, you will instantly see a heads up display notification appear directly on your television. In addition, weather alerts in case of an emergency, Amber alerts, and news alerts may be displayed. 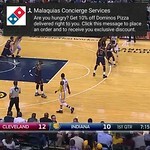 The ability to download virtually any application and use it directly on your television is no longer a concept. 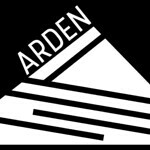 From social media applications to your favorite indie game, Arden has its own app store. 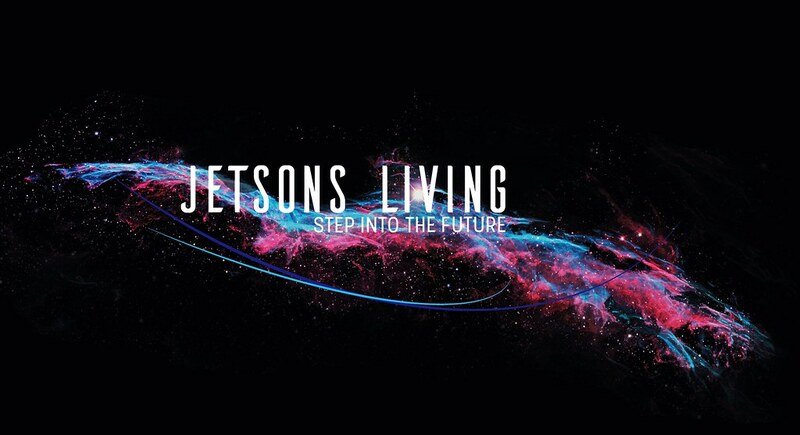 Our software is based off a custom version of Android, where you can access applications from the Google Play Store and integrate them directly into your system. Arden can also display security camera overlays for multiple properties. For customers who have multiple homes,they are able to integrate cameras from multiple locations on the same sharthub. Each camera can have a unique name so in the event you want to display the camera for another property you can simply say “Open the condos driveway camera," and when you want to open yours you can say “Open the home driveway camera”. In addition both homes will still display motion activated overlays as well; Allowing you to keep an eye on multiple properties without physically being there.